Downloader, is a download manager specifically designed for the new generation Web (Web 2.0). You can use Orbit to download video/music/files from Myspace, YouTube, Imeem, Pandora, and Rapidshare, or on any site to make general downloading easier and faster. µTorrent was written with efficiency in mind. Unlike many torrent clients, it does not hog valuable system resources - typically using less than 6MB of memory, allowing you to use the computer as if it weren't there at all. Additionally, the program itself is contained within a single executable less than 1 MB in size. 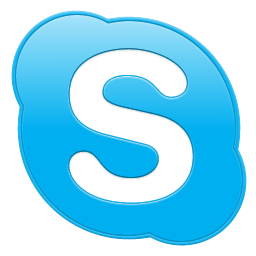 Skype calling - Skype has all the features of an ordinary phone so it's even easier to manage your calls. Video calling - see who you are talking to at the same time as speaking to them. Add Skype and SkypeOut contacts - Add contacts who use Skype and those who use ordinary phones so you can call more people. Organising groups - group contacts under certain names and share them with your contacts so they can talk to them too. Basic chat and emoticons - when it's not convenient to call, chat or Instant Message (IM) your contacts. Group chat - for when it's easier to chat or Instant Message (IM) all your friends at once. Profile settings - change how you appear to the world and let people know a bit about you. Conference calling - talk to more than one friend at a time. Import contacts - search your address book to find friends and family that already have a Skype name and start calling them for free. View Outlook contacts - view and call your Microsoft Outlook® contacts quickly and directly from your Skype contact list. Quickfilter and Speed-Dial - find Skype contacts, recent chats and SkypeOut contacts quickly and easily, then enter their Skype name to call them back quickly.